This morning I finally had time to close my Linkedin account. I had been thinking to close the account for a couple years. In that time I have logged in a few times a year. I have seldom contacted people in my ‘network’. For the people I care to keep in touch with, I use email, my cell phone and text messages. That said; in the past few years I have been thinking about two reasons to close the account. … While I was writing this post, I decided to give it a try a third time. Goggled the process and after a couple attempts a pop-up window indicated that my account was permanently going to be deleted in 14 days. Today is Friday July 13, 2018. I will check at the end of this month to verify if the account is gone. 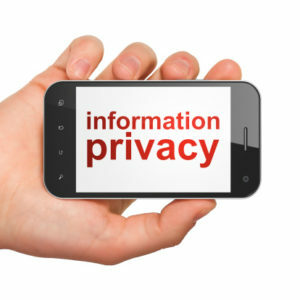 OK I feel better that Facebook and Linkedin will no longer keep my private information and my email inbox will not receive messages that I do not care receiving. More on this on the second reason why I decided to delete these two social media accounts. Second reason is about how I live my life and a book I read earlier this year. I do not believe that the life of two individuals is exactly the same. We are led to believe that people may be put into groups and by doing so, the organizations using such data can predict exactly what the person will do given different circumstances. I agree that if a person exhibits a particular trait e.g., always being late for appointments, the probability of the person being late for her next appointment is high. That said, for some specific set of circumstances on the life of such person, she may decide to start being on time. My wife comes from a rather large family. She is one of eleven siblings. When I met her all her brothers and sisters smoked tobacco cigarettes. In her teens my wife experimented for a few weeks smoking. She did not like it and since then have never smoked again. 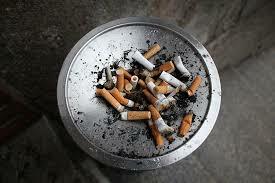 After decades of smoking on average a pack a day, one by one of her brothers at different points in their lives and for different reasons decided to quit cold turkey. For the past decade or so, none of them smokes. The story is somewhat different for her two sisters. One smokes half dozen cigarettes a week. Has tried quitting several times but so far has not been able to do so. The other sibling continues to smoke. Here we have eleven people that are siblings, whose parents were in their first and only marriage and behave quite different. We humans are extremely complex and attempting to pigeonhole individuals and expect 100% accuracy is ridiculous. That said; for product suggestions, based on past purchases, a company may infer which products you would consider getting. For example, my wife and I have purchased more than two dozen cars from the same German manufacturer. Chances are that we will continue to do so unless something drastic changes (i.e., bad service experiences, poor quality in the vehicles). I like to make changes when I learn something and feel that I should practice what I have learned. Of course, we still live in the real world and some changes are harder than others. When I was growing up I experienced some allergies. With time they went away. After several years I developed new ones. With time they are almost gone. 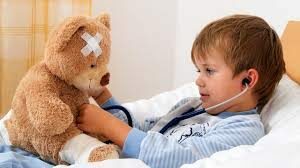 When I was attending middle and high school, I recalled catching the flu around the month of May. I would miss the entire week. One summer I decided to get a book on Geometry and learn as much as I could. After two additional books, I became quite proficient in solving geometry problems. If you put the quality time into something, you increase your chances to succeed. I could tell you of a dozen or more situations in life when I decided to achieve something and after putting the effort and time most if not all came to fruition. This occurred in different aspects from getting a scholarship to attend an Ivy League school to become the captain of the shell boat rowing team in college and becoming champions in Peru and Latin America. 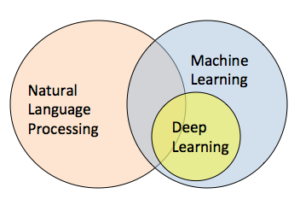 At this time I am interested in learning Big Data and NLP (Natural Language Processing). Decided to take some on-line courses and dedicate at least 14 hours a week. I do like to understand and practice what I am learning. My first idea was to try six-week NoSQL database product class. All was going well until my son came with his family to visit for a long weekend (Friday to Monday). I am about to complete the course but is taking seven weeks. The issue I figured was lack of time. That did not take too much to realize. What should I do to address the problem? A couple months ago I read and made a simple post on the book “Deep Work” by Cal Newport. The concepts and techniques he describes are extremely fascinating to me. Many of them (i.e., to do list) I have been practicing for most of my life. The main concept in the book is about putting aside some time every day in which you can concentrate on something without distractions. It is not easy and takes time. You cannot spend all day because it does not appear that we humans are able to concentrate on something for more than a few hours a day. 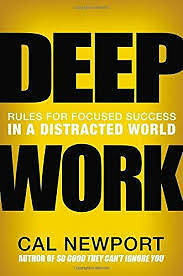 If interested in being able to concentrate and increase your professional output, I strongly recommend getting a copy of “Deep Work”. If you do and put in practice the techniques, please let me know. I would love to hear from you. Getting back to be as effective in learning, I decided that I could set my alarm clock to 04:30 AM every day. I would have enough time to go down to my home office and spend two hours studying and practicing what I have to learn. I started Monday this week and so far have been working great. I used to study at the end of the day. The issue was that as the week progressed, Thursday and Friday afternoons were almost impossible for me to sit down and concentrate. I was tired and there were always things that came up as the weekend approached. Will continue to study first thing in the morning and will make some comments of future posts to let you know how things progress. I would like to mention that I do not have anything bad to say about Microsoft owning Linkedin. Today my primary computers for work and study are Windows 10 based. Yes, Microsoft could and should improve on Windows by making it simpler to use. That said; I do have installed on my Windows home computer three different versions of Visual Studio. 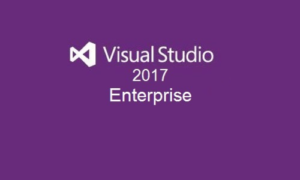 Visual Studio is one of the easiest to use and complete IDE available. In that same machine I also have installed Eclipse, IntelliJ, NetBeans and Spyder. If you wish to contact me please send me an email message, give me a call or send me a message on Twitter.